My life has recently gone through some major changes (very good changes), and will be going through more in the near future. A large contributing factor of that is a change of perspective that I have gradually come to. I believe this has happened through many avenues that has taken a long time to evolve, which has been a slow, painful, yet enlightening path. Even though it has been slow coming up out of the mire of negativity that I had been entombed in, there have been a few key pieces that when snapped into place have catapulted me into a faster evolution. One of these key pieces was reading this fascinating book The Four Agreements by Don Miguel Ruiz. I purchased this book on a high recommendation of a friend. I took it with me last spring when my husband and I got away for a week in a cozy cabin in the mountains. One of the things I really enjoyed doing on that trip was cuddling up near the fireplace and reading. While I did bring another book to read as well, this was my book of choice. It fascinated me and stretched my mind in such a way that I simply could not put it down. I won’t ruin it by saying much. Only that if you are looking for a new way to think about life, humans, and why we do the things we do, this book is for you. At first I was shocked by it, because I had never been introduced to this way of thinking before. It took me many weeks and months to digest and truly comprehend the message this book had to give. I even went back and reread it several times long after the vacation was done. Eventually, I was able to start making changes in my life based on the things I read in this book. Good changes. Very good. The journey I began several years before to become a more positive person and shed large parts of my negative lifestyle was only strengthened and encouraged because of this book. I was able to change the way I perceived myself and how I interacted with the world, and in doing so gained more peace of mind. 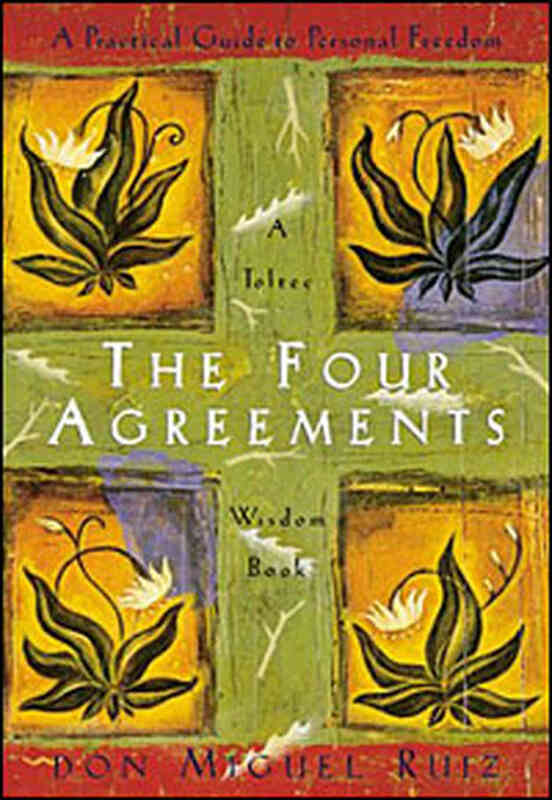 The positive changes that I am currently making in my life would never had been possible without reading this book and also the next book The Fifth Agreement. So I share it in hopes that others will make the great discovery that I have. I am not certain what the rest of my life has in store for me, or what my story will be, but I do know it will be a life full of positivity and peace, and a story in which I plan on telling many, many stories of my own. Previous Post Am I Good Enough? Great to hear from you!!!! Glad you are still growing and evolving. Always, glad to hear from you. Hope all is well.